Categories: Creativity, Prayer, Resources, Service Activities, Spirituality | Permalink. Thought provoking creative service this month based around Jean Vanier’s book ‘Tears of Silence’ which challenges us to overcome our fears and excuses that allow us to ignore those suffering around us rather than finding ways to reach out to others. 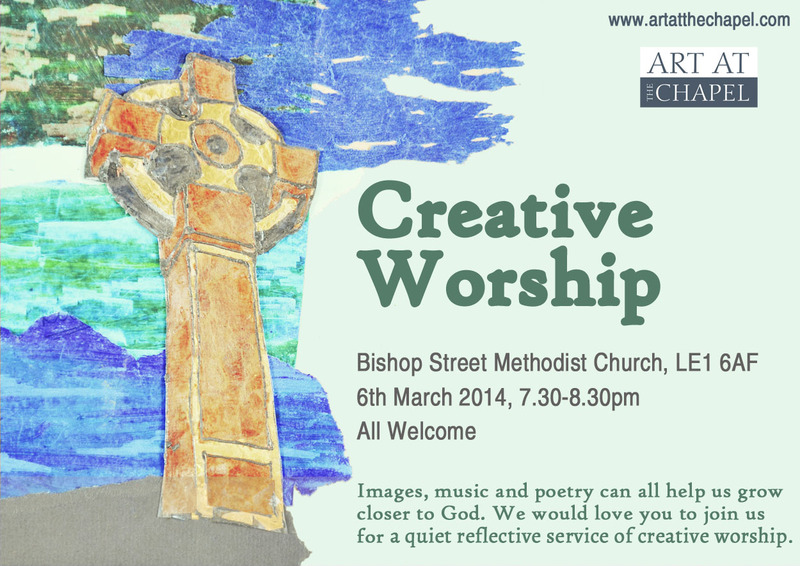 Categories: Art, Creativity, Prayer, Service Activities, Spirituality, Worship | Permalink. 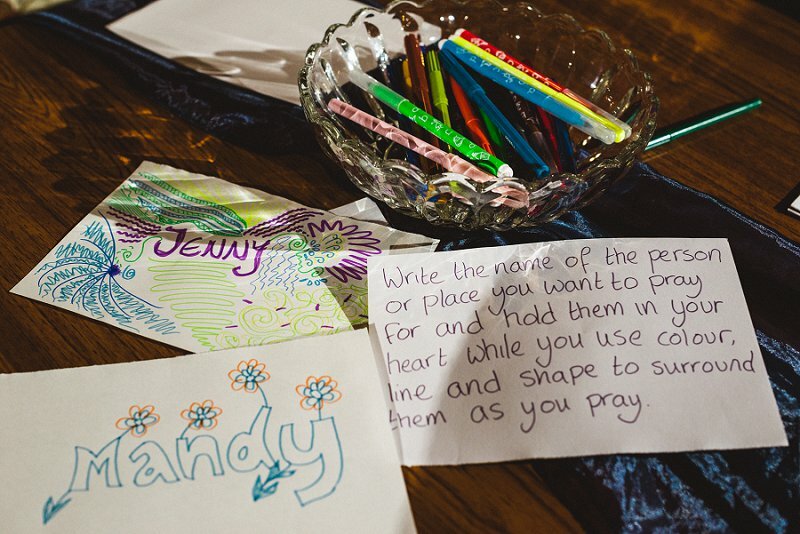 Thank you to everyone who helped put on and came along to the creative service last night. 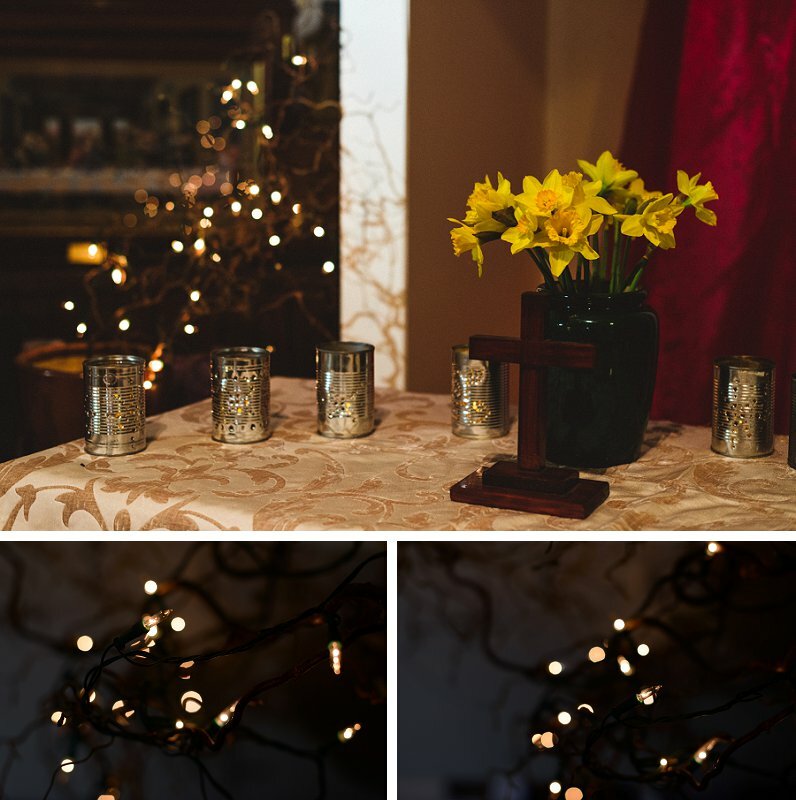 The beautiful music, smell of aromatherapy oils and candlelight helped create a special space for us all to relax and enjoy spending time with God. The service began with prayers by Ray Simpson of the Northumberland Community and story telling from a book by Trevor Dennis called ‘Imagining God’. The chapter we read was called ‘Child’s Play’, and began with a wonderful image of God teaching Adam and Eve how to skim stones and having great fun together on the riverbank. The theme of the creative, playful nature of God and how he calls us to delight in his creation ran through the service. 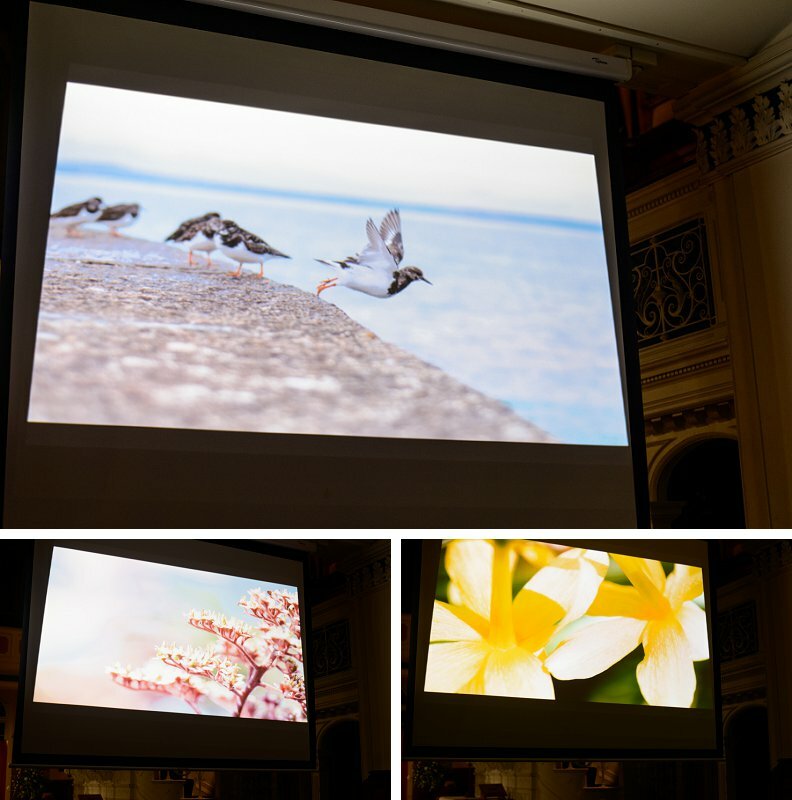 1) A slide show of images rejoicing in creativity, including artwork by Matisse, Chagall and Georgia O’Keeffe and photographs exploring the incredible diversity of colour and form found in nature. 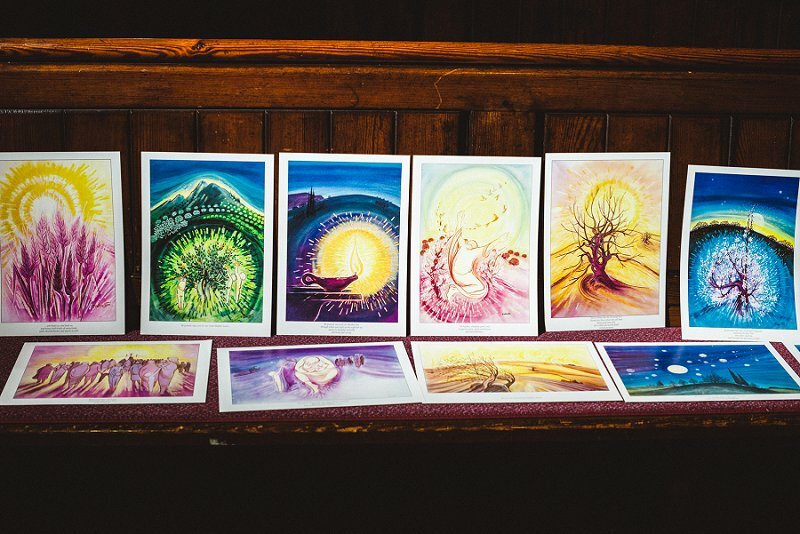 A series of images reflecting on the Francis of Assisi’s Canticle of Creation. An intercession table which invited us to use the ‘Praying in Colour’ technique to focus on those we wanted to bring before God. 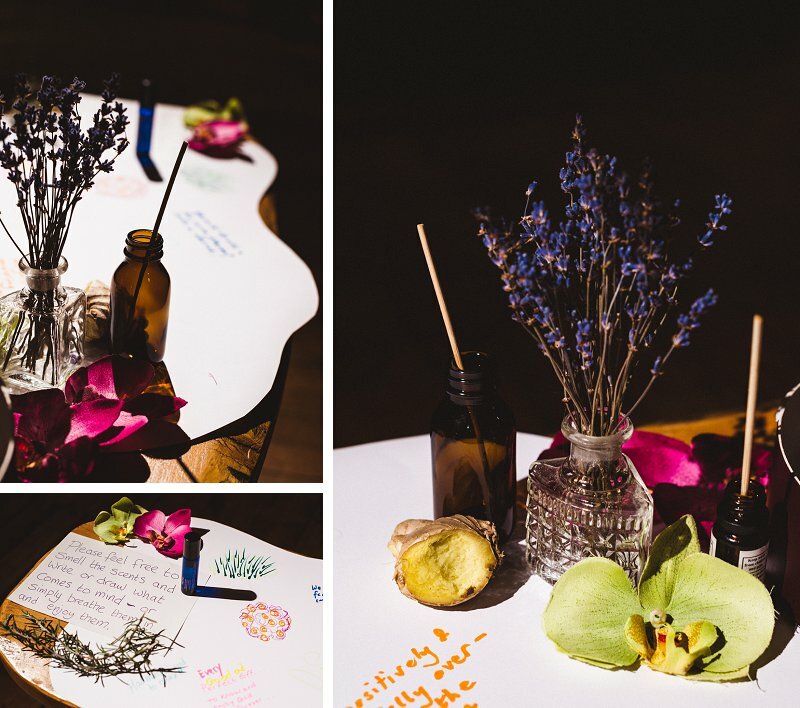 A scent station where we could breathe deeply and enjoy the aromas of lavender, peppermint, rosemary, geranium and ginger, writing or drawing our responses if we wanted to. 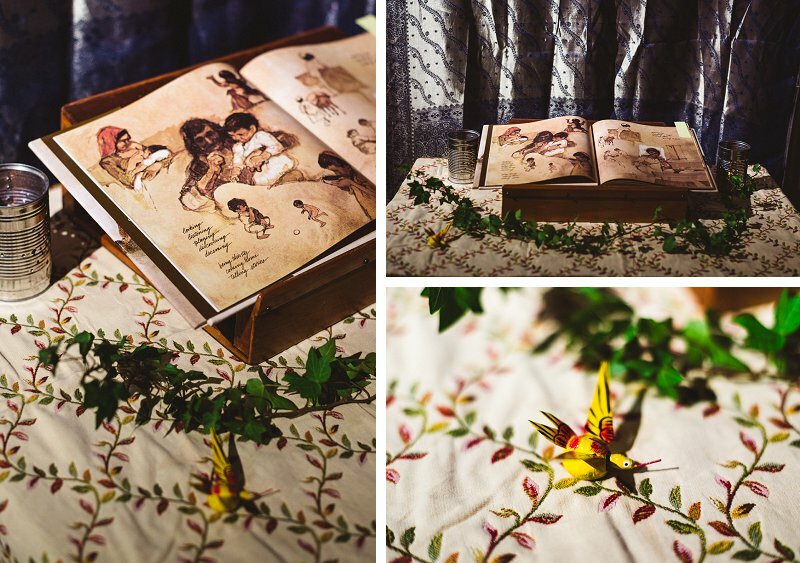 and a place to spend time with the images of Rien Poortvliet, from his book ‘He Was One of Us’, focusing particularly on his drawing of the little children visiting Jesus and the delight He took in them. Once we had gathered together once more we shared a little of our experiences and thoughts and sung accompanied by Jill on the flute. The service closed with a prayer inspired by St. Teresa of Avila and a beautiful Celtic blessing sung to us by Megan. We each took something different home from the evening and personally it was a sense of being deeply cared for and nurtured by God which after a rather stressful week was just what I needed. Our Creative services provide a space for you to relax and enjoy drawing closer to God, giving him space and time to speak to us. If you like the sound of this service we would love you to join us next time and you will be warmly welcomed. Categories: Art, Prayer, Spirituality, Worship | Permalink. Categories: Art, Events, Prayer, Spirituality, Worship | Permalink. 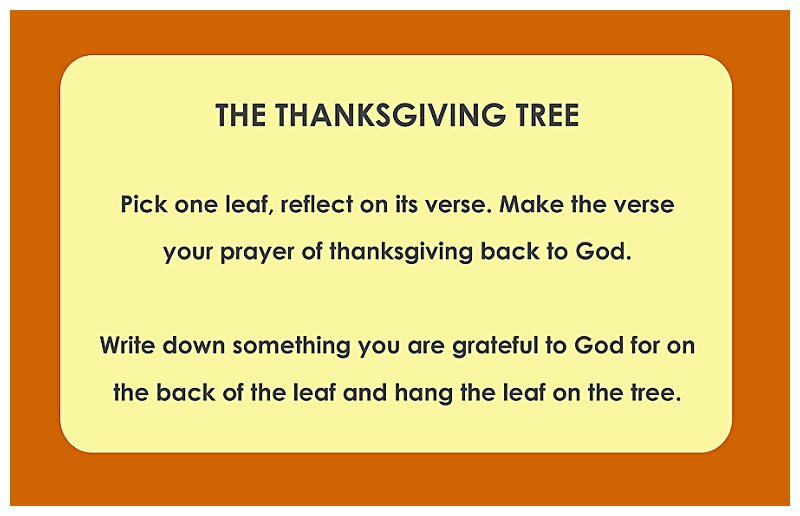 Our prayer corner activity for December was the Thanksgiving Tree. 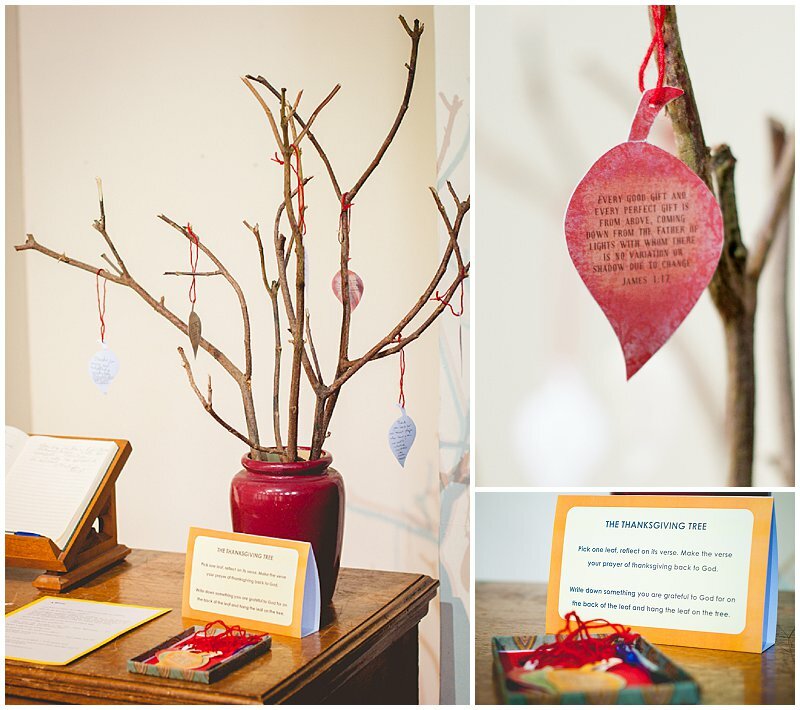 We would like to say a big thank you to Ann Voskamp who created and gives away the printable leaves for free on her blog www.aholyexperience.com She has a great story here about how she explained the idea to her children which you may like to read. We picked a leaf and reflected on the biblical verse written on it making the words our prayer of thanksgiving back to God. 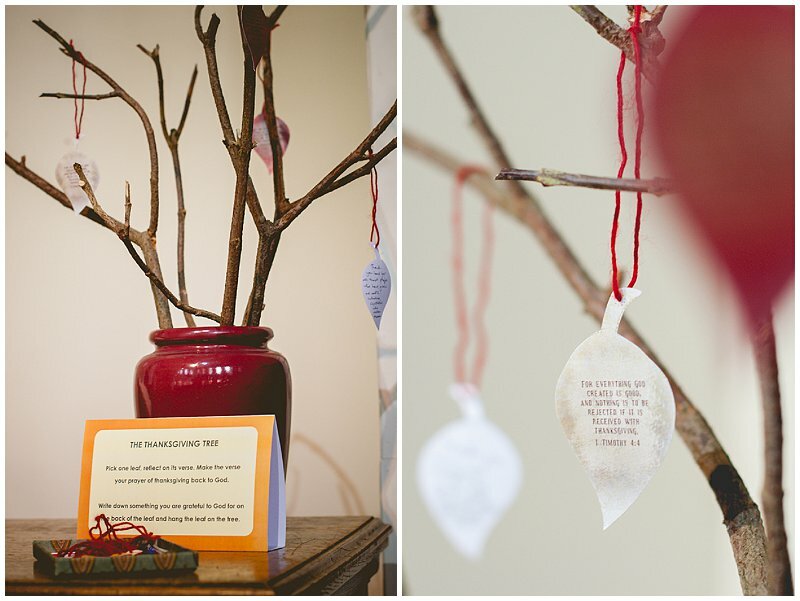 On the back of the leaf we wrote down something we were grateful to God for and hung it on a branch. It was uplifting to read what people wrote and I for one appreciated the reminder to be thankful for all the blessings God gives me each and every day! Categories: Prayer, Spirituality | Permalink.